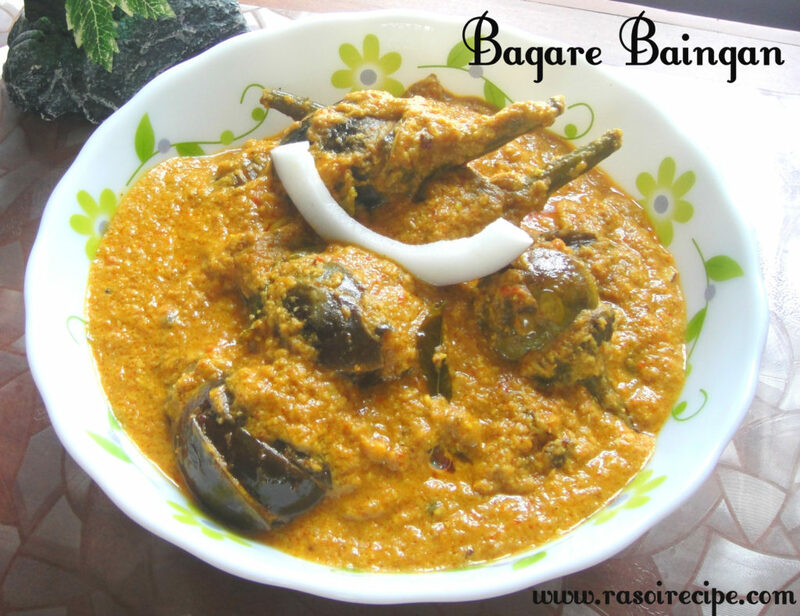 Today’s recipe is ‘Hyderabadi Bagara Baingan’. 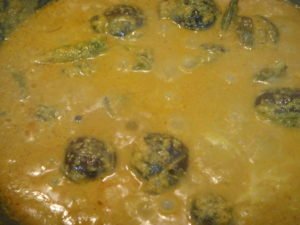 It is a delicious and a very popular south-indian dish. In Hyderabad this dish is served as a side dish along with Hyderabadi Biryani. You can also serve it with roti/chapati/plain rice/paratha. 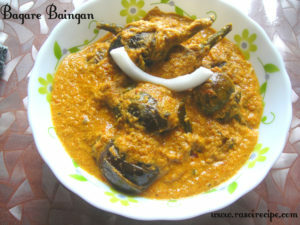 This recipe which I am sharing today is again my mother’s recipe. 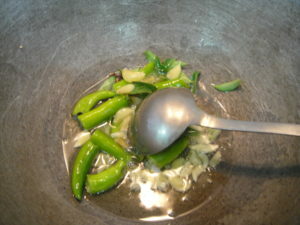 Wash all the vegetables and soak tamarind in water for 10 minutes. Slit baingan in the quarter, do not cut through. Make tamarind pulp and keep it aside. Dry roast chopped coconut, peanuts, cumin seeds, sesame seeds, and poppy seeds. 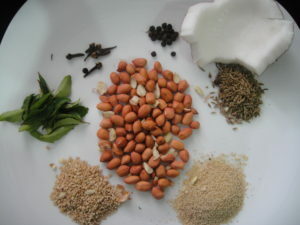 Add water and make a paste of above-roasted ingredients. 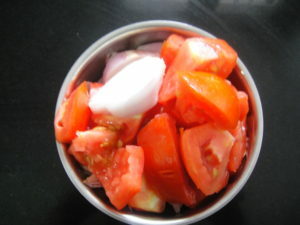 Make a paste of tomato and onion. In kadhai/deep pan heat oil. 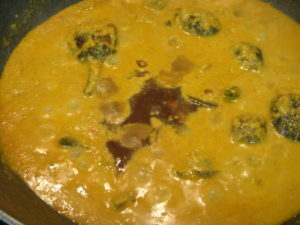 Add black peppercorn, cloves, green chilies, curry leaves and garlic. Cook for 2-3 mins. 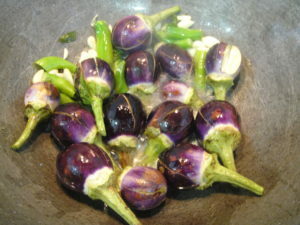 Add egg-plant/ baingan / aubergine. 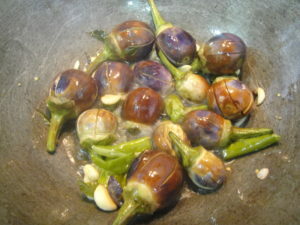 Cook till color changes from purple to brownish purple. 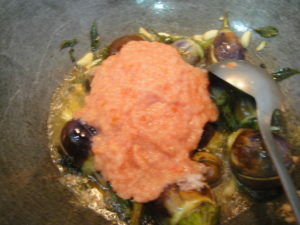 In the above mix add tomato and onion paste. 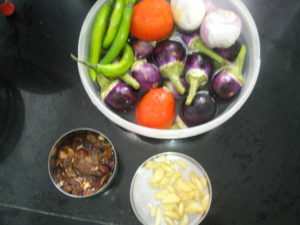 Cook till separates and baingan are cooked completely. 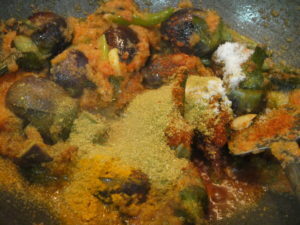 Add all the remaining spices in the above mix. Mix everything nicely. 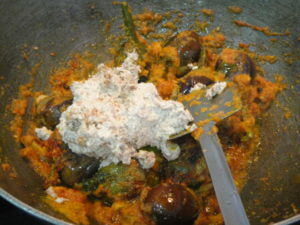 Add coconut paste in the kadhai. 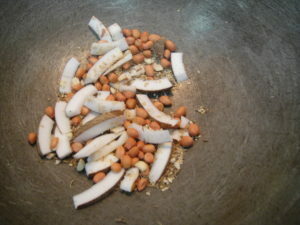 Add water and tamarind pulp. Cook till gravy starts boiling. Serve it hot with chapati/rice/paratha. You can garnish it with coriander leaves or desiccated coconut. Looks great! Thanks for sharing the recipe, Alisha!